Welcome back to another Guardians hero preview! Each week we take a closer look at the cards and abilities found in each hero’s power deck. We’re halfway through the ten heroes in the base game of Guardians, so if you haven’t already, be sure to check out hero preview #1 and #2 for a detailed look at the cards so far! Today we’ll be exploring two heroes that don’t exactly see eye to eye in the world of Guardians, but as the fight continues, each might find themselves fighting alongside former enemies. First, let’s take a look at Mauler! Never one to play by the rules, Mauler’s Relentless ability is all about preventing the downside of effects, such as powerlock or immobilized tokens. This is a major advantage in keeping Mauler mobile and on the offensive. Guttersnare is a powerful tool for getting enemy heroes within range of Mauler’s 4 attack. Additionally, Guttersnare works in combination with Tripwire for a combined 6 damage against one hero. Players will want to be aggressive with Mauler, and a utility card like Adrenal Stim is ideal for keeping him in the fight. Lastly, Carnage is a powerful ultimate that can hit multiple enemies at a time for only 2 charge. Like Grave’s Necrosis in the first hero preview, this card deals damage until enemies are reduced to a certain value, versus just dealing a set amount, so be sure to save it for bigger enemy heroes to get the most out of it! While Mauler is a bit of a lone wolf, Paladin’s strategy is all about banding together. His Heroic Presence ability lets other friendly heroes within range 1 gain +1 attack. This can seriously boost the attack value of other heroes on your team, and with Tactical Positioning those heroes can be readied to attack again in the same round. Rapid Response is another powerful support card, allowing Paladin to interrupt enemy combos if needed. Protector’s Shield is almost as powerful as a third copy of Barrier in your deck, shielding friendly heroes without spending an action.Finally, United Front has the potential to score a location outright for your team, provided you are either tied for points or trailing your opponent. While this can be a tricky ultimate to execute, the payoff is high! With Mauler and Paladin covered, we’ve now seen six heroes from the base game of Guardians! We’ve only got two more hero previews to go! Have any combinations caught your eye? Which heroes are you most excited to play? Remember, Guardians is available for preorder now and will be hitting retailers and our own web store next month! 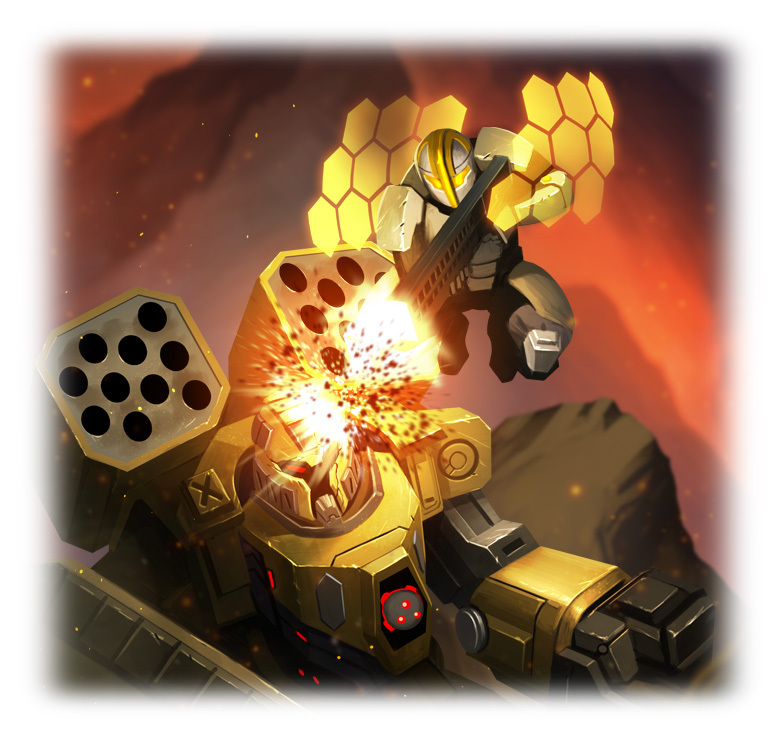 Be sure to check out the other previews below and check in next week for the next two heroes!